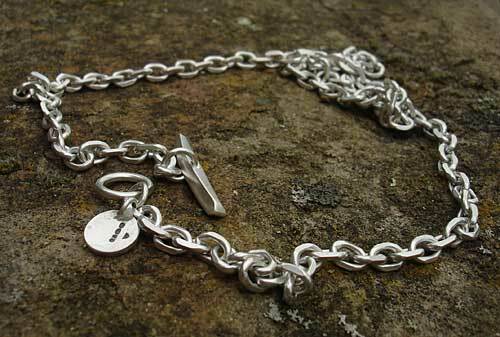 Sterling Silver Chain Necklace For Men : LOVE2HAVE in the UK! 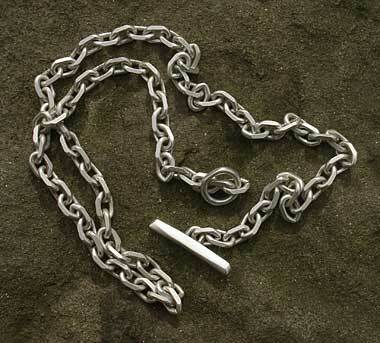 This sterling silver chain necklace for men features a T-Bar catch. 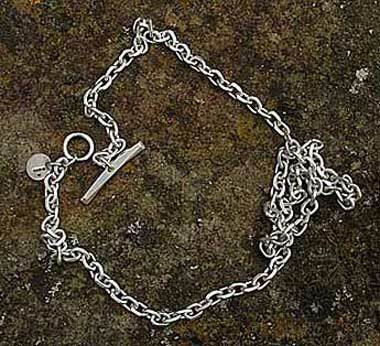 The links measure 5mm each, and they have an angled shaping. The designer describes these links as angle filed as each one comes meticulously worked by hand. 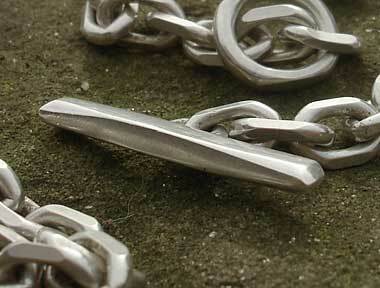 The chain comes with a matt finish. It has a stylish T-Bar fastening with sleek shaping that fastens securely with a lovely designer quality to it with its contemporary form. The length is 18 inches, and other lengths are available on request. 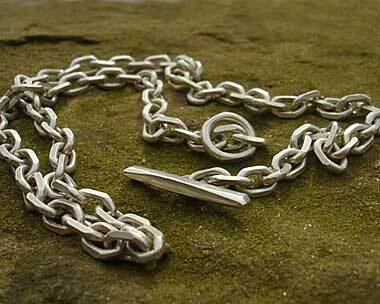 All in all a beautiful subtle sterling silver necklace for men made from solid silver at an affordable price.